February 2012. 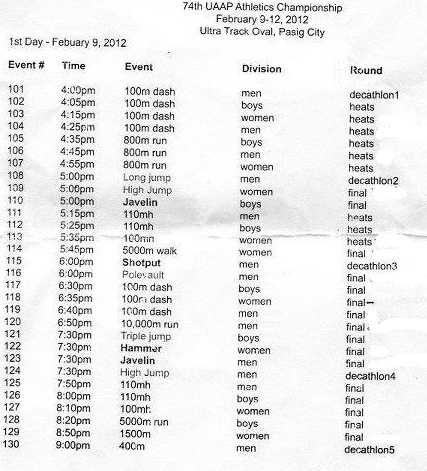 Special thanks to EJ Valera and Coach Igor Quodala for providing the original documentation. 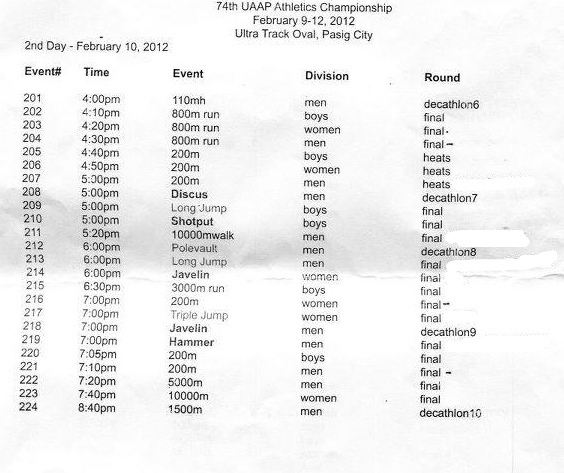 And Joboy Quintos of http://hurdler49.wordpress.com/ for editing the Ateneo names out and providing the original article available on Hurdler 49. 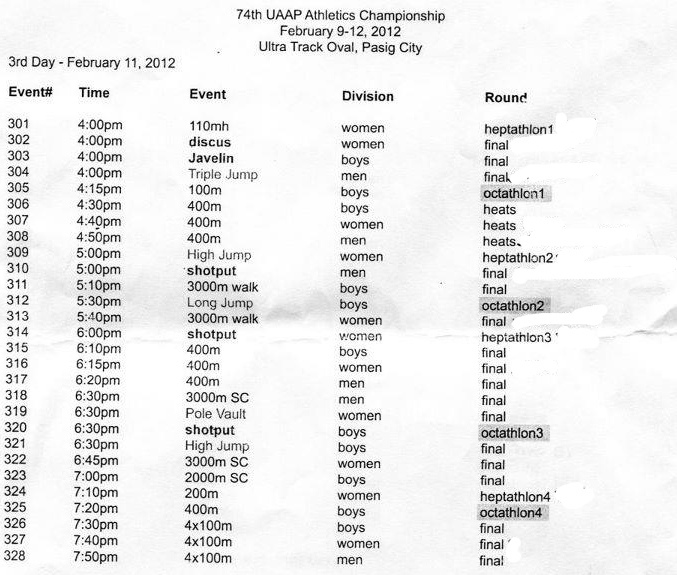 Joboy also compiled this pdf file of schedule for convieneance of use. 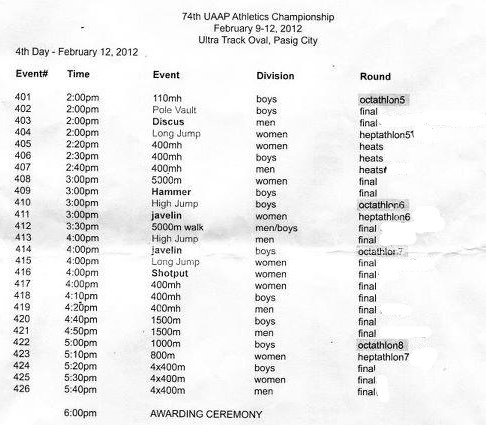 This entry was posted in 05 UAAP News and tagged asian athletics, Athletics, ej valera, Hurdler 49, Igor Quodola, Joboy Quintos, PATAFA, Philippine athletics, philippine sports, Philippine track and field, track and field, UAAP, UAAP athletics, UAAP Program, UAAP Schedule, UAAP Timetable, UAAP track and field, UST track team. Bookmark the permalink.